Delta offers a solution for people charged with the task of watering high hanging plants. 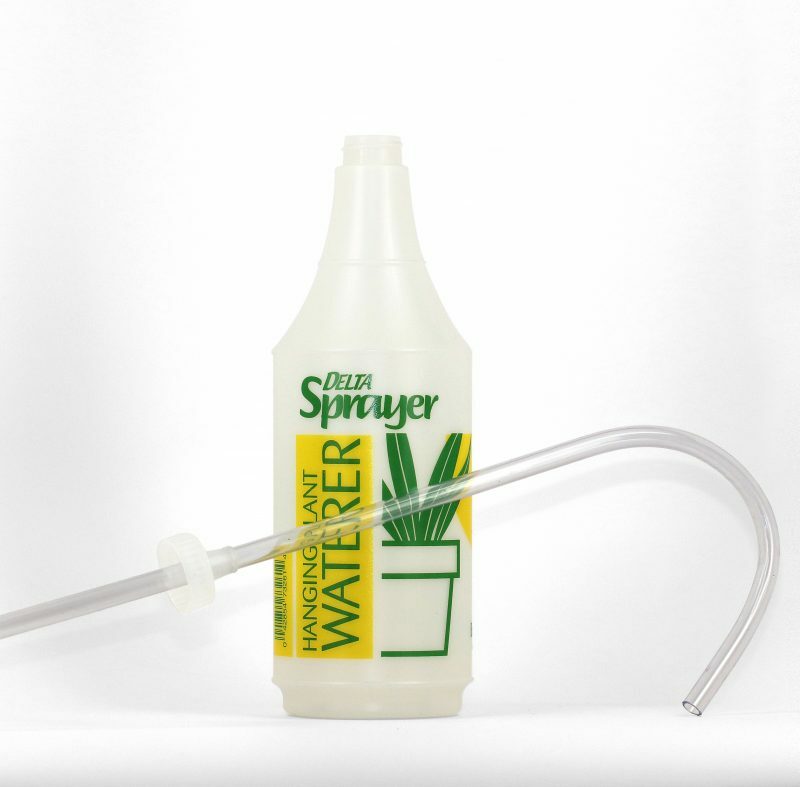 The Hanging Plant Waterer allows for easy watering of any hard to reach hanging plant. Dimensions - 20" x 3.5"x 4.5"